Joe Biden keeps getting in the news lately. First, Donna Brazile says she considered replacing Clinton-Kaine with Biden-Booker after Clinton’s pneumonia spell in September 2016, something that had no unilateral power to do, but hey, if it sells a book and gives her an appearance fee on Fox, all the better. Second, MSNBC’s “Hardball” host Chris Matthews says Biden is running in 2020. Matthews: “He is running. I know he’s running. I’ve talked to his people. … I’ve talked to his family. […] If he can get past the gaffes and shows a vigor and can create some excitement, he may well be able to beat the age issue. […] The Democrats have got to get back to being the party of regular people: firefighters, waitresses, cops, regular people.” Matthews suggested a ticket with Sen. Kamala Harris of California. The Donna Brazile thing is fake news — if she could replace a convention-ratified ticket, how come she couldn’t just change the messaging and direction of the campaign? So much side eye here. Am I paranoid or does it seem that Biden is being set up as the guy to deliver us from the GRIFTUS in 2020? Biden is more visible than Obama is — and certainly it might be politically easier for Biden to do that than Obama. 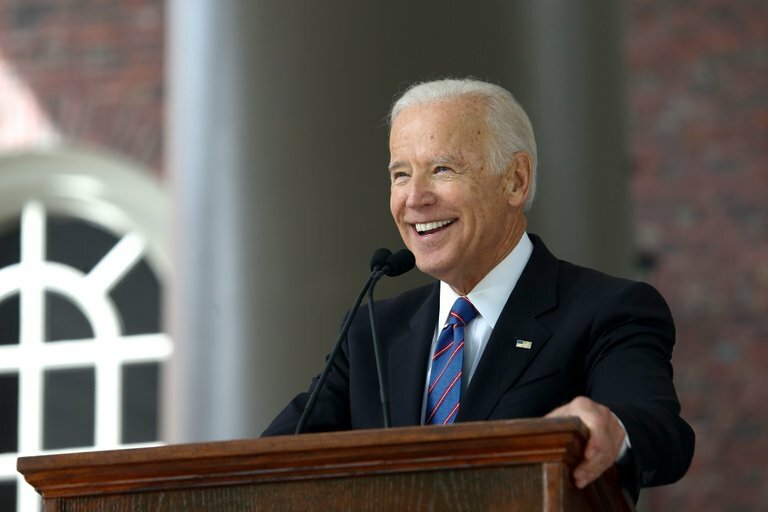 It is too early for any predictions or informed speculations, but I could see Biden as a candidate who could go head to head with the Bane-like campaign strategy of tearing open the resentment wounds that continues to be the currency of this administration. The flip side is that if Biden is going to run, he is gonna have to talk about Anita Hill. What’s “fake news” about Donna Brazile’s admissions ? Biden is too old. There, I said it and meant it. The way forward is not thru politicians in their 70’s, look at Trump ( I dare you! ), we need someone younger and stronger to take the reins. Why is nobody thinking about my boy Sam guy for President? I know it seems crazy but hear me out. He tells it like he sees it, and has the experience to run guv. He ran NCC guv and now he is going to be a senator in a few months. He could be governor, but he just should skip that, cause he is who we need for president. Guy for guv. Remember that. He also has been a real good councilmans. I forgot that.